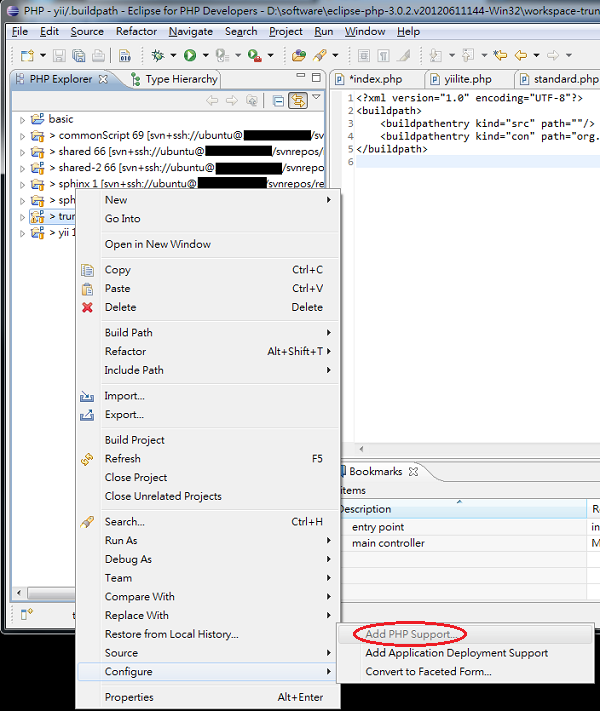 [SOLVED] Fix Eclipse PHP Control+Click Not Working Problem in SECONDS! This feature is part of the content assist function. Isn't life beautiful? But what if your Eclipse does not navigate like this? Simple. Follow the following easy steps to enable the content assist feature of Eclipse PHP Development Tools (PDT). 2. Delete the org.eclipse.dltk.core.index.sql.h2 folder in .metadata/.plugins of your workspace. This will delete the dynamic language toolkit databases (those are used in ctrl+click or F3 search). 3. Open Eclipse again. The DLTK databases will be recreated. Add PHP support to your root folder. That's it! You don't need to restart Eclipse. Questions? Let me know!